You can add as many colour swatches as you want in your palette. Click the Dropper button to select any colour on your screen. It can be from the Harmony interface, your operating system or any other open application. By default, when you create a new colour swatch, its colour will be the same as the currently selected colour swatch, or black if no colour swatch is selected. 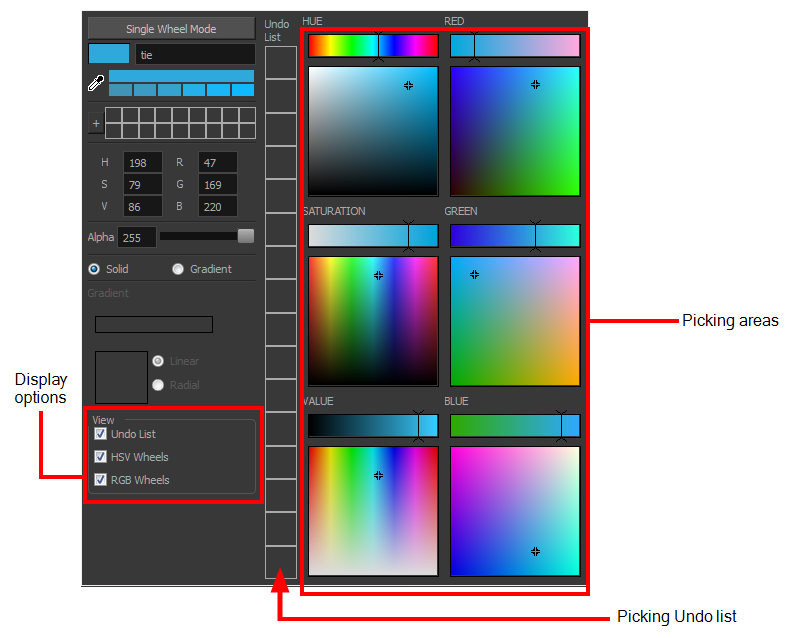 You can make Harmony create new colour swatches with a specific default colour instead. 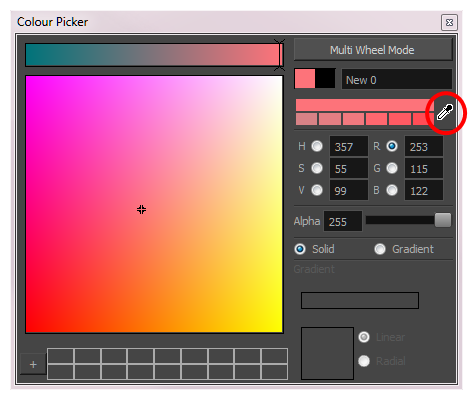 In the New Colour Pots section, select the Create New Colour Pots Using the Default Colour option. 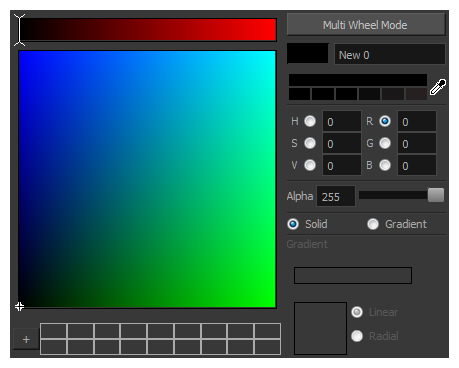 You can also click the colour swatch beside the option to change the default colour.